Gasper’s Jewelers has provided the highest quality and creative designs for jewelry and wedding sets on the Monterey Peninsula for over 20 years. Custom jewelry is our specialty. We also carry a full line of rings, engagement and wedding sets, bracelets, necklaces, men’s and women’s watches, men’s fine jewelry and beautiful Lladro ceramic figurines. Gasper’s Jewelers was founded in 1989 by Monterey native Gasper Spadaro with a plan to create a store where his clientele could get exceptional quality jewelry of exquisite design and unparalleled beauty. 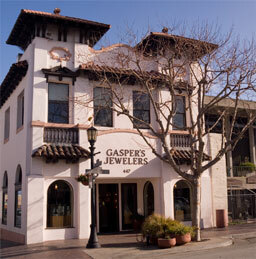 Gasper’s standards have been the measure of excellence in fine jewelry on the Monterey Peninsula for over 20 years. We guarantee quality! We also clean, repair and appraise jewelry and watches. 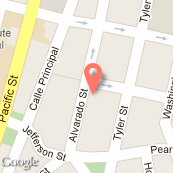 Come by our store on Alvarado Street to view our complete selection of in stock items. We are available every day (except Sunday) for consultation on custom designs.